Have you ever contemplated what it would look like if you ran over a wrench with a lawnmower? Ever accidentally mow anything you shouldn’t have? 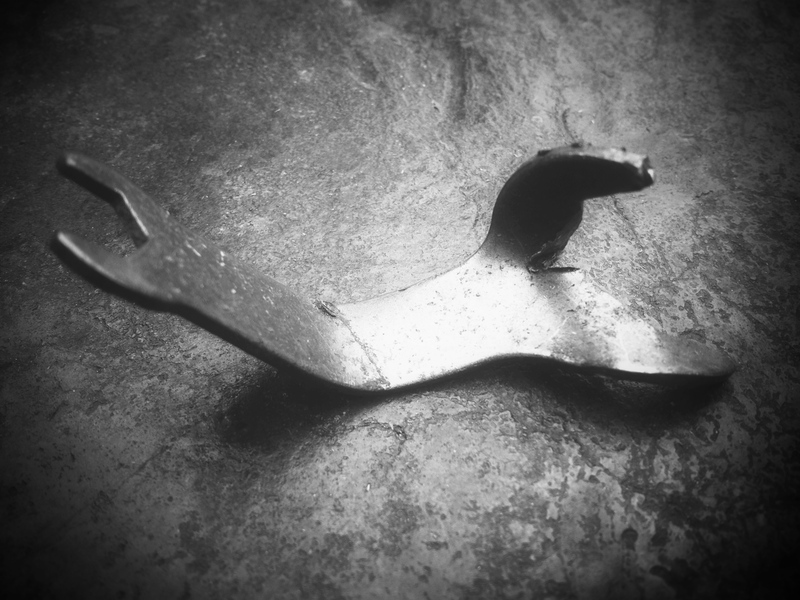 Posted in laughs, life, nonsense, randomTagged black and white, gardening, oops, oregon, Pacific NW, photo, photography, random, wrench, yard careBookmark the permalink.